guess paper 2019 1st year English, guess paper intermediate part 1 english, guess paper 2019 1st year chemistry, guess paper 2019 1st year arts, guess paper 2019 1st year karachi board, guess paper 2019 1st year commerce, guess paper for class 11 2019, guess paper 2019 2nd year. Please mail me guess of ics subjects. We are try as we received we publish on here. could u plzz tell me that thses papers are only for Punjab board . It is ok for fbise board student to prepared from this. 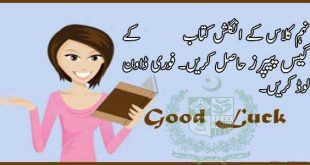 please please please geographic k urdu medium 1st year lahore board k guess paper send kr dein please…..